Your math faculty has more than 190 years of combined teaching experience, 6 doctoral degrees, with 5 PhDs in mathematics. Order is one of the manifold perfections of God, and it’s one that we see reflected in His Creation all around us in the form of mathematics. In fact, math affects practically every aspect of our lives. In our program, you’ll explore the beauty and order of math. You will be prepared for a variety of careers—from a financial analyst, statistician or data analyst, to a researcher in engineering, finance, economics, meteorology or biostatistics, or even for a role in academia. You will also learn how you can use math to understand the world and better steward its resources, all for the glory of God. 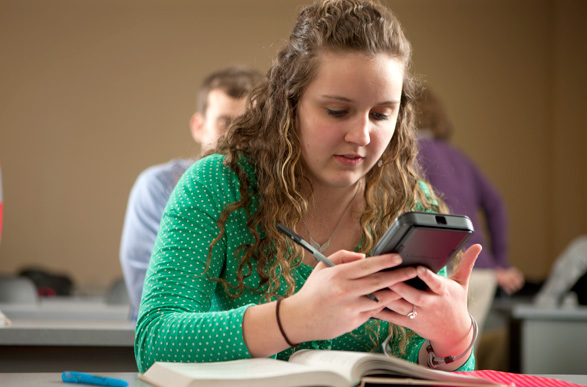 BJU’s mathematics program goes far beyond routine drills and problem-solving to teach you how to explore problems, thoroughly understand them and apply effective solutions. Throughout the program, you will be challenged to think critically and logically as you construct valid arguments that support your solutions to problems—skills that are necessary in all of life. You’ll study various branches of mathematics, from analysis to abstract algebra to probability and statistics to differential equations or computational theory. The solid mathematics foundation that you build will equip you for a variety of careers and also prepare you to pursue advanced degrees in mathematics. In fact, nearly half of our graduates go on to graduate school. Throughout your entire program, you will learn the importance of applying biblical principles to your life as a mathematician and how your spiritual life and your professional life are not distinct. You’ll learn why honesty, integrity and diligence are essential in the field and how God is glorified by the demonstration of this character in your work. A degree in mathematics prepares you for a wide range of fields, and you’ll expand your skillset even further with BJU Core courses. You will study the past to understand the present through your history and philosophy courses. You’ll take courses in speech and English that will develop your ability to communicate effectively in the workplace, in your community and with your family. You’ll also learn how to become a lifelong learner, a person who is flexible and able to adapt to the continuous changes and challenges of the modern workplace. And more importantly, each of your classes—especially your Bible classes—will build your faith and give you a solid foundation in the Word of God so you’ll know what you believe about God, how to live out your faith for Him, and how to share your faith with others. In the mathematics program, you’ll have 26 elective hours available to take additional courses in math and focus your education. You’ll also have the option of using your electives to tailor your program to your particular needs. We encourage our students to consider the gifts and talents that the Lord has given them and where they believe the Lord is leading them after graduation, and then we look for additional courses that will develop the skills necessary to complement their mathematics in light of these future goals. For example, you could use some of your electives to take courses in computer science, business, music, communication, or one of the sciences. BJU’s program began with an introduction to logic and proof, progressed through a calculus sequence that included proofs, and for me continued to a point-set topology course. Being drawn into ever-deeper understanding meant I was constantly challenged and therefore constantly growing. As a result I was ready for the rigors of graduate school where I repeated this progression in multiple other fields of mathematics. From the first mathematics class at BJU there was more emphasis on why than on procedures. Not only was this necessary preparation for graduate school, but it planted the seeds of my pedagogical style. Where possible I use students’ current understanding (why) to help them figure out how (procedure). This includes using inquiry based learning. The quality of my education was increased by interaction with other highly talented students in the program. Through camaraderie and naturally arising competition we helped each other reach our full potentials. The obvious concern for our development demonstrated by BJU math faculty encouraged us to seek their assistance. Their assistance in turn enabled us to excel. Further, their example taught me how to advise students. I in my turn now enjoy helping my students develop their God-given talents. A mathematics degree at BJU opens up a variety of employment opportunities to you. Funded by the National Science Foundation, The Research Experiences for Undergraduates program gives undergraduate students an opportunity to participate in active research. Our students are well-equipped for this program, and recently one of our mathematics students, together with two students and a professor from other universities, participated in the program and presented research at the 2014 Joint Mathematics Meeting in Baltimore, Md. BJU students have the opportunity to compete alongside other Southeastern universities including Georgia Tech, Mercer, Wofford and Emory. In recent contests, several of the BJU teams have placed in the top five out of 20-30 teams. During the spring semester, the Technology Ministry Team holds robotics workshops for Christian high schools in the Southeast. If you join the team, you’ll build and program robots and teach high school students as you explore the benefits of studying science and technology fields. 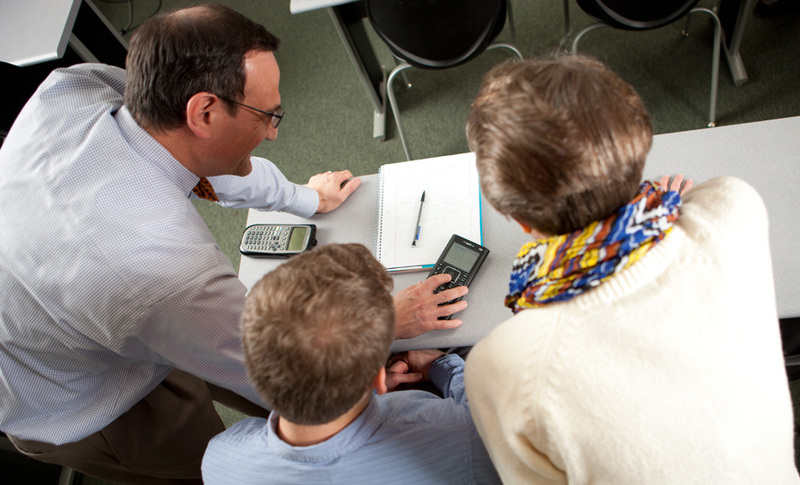 BJU’s accomplished mathematics faculty hold terminal degrees in their respective fields, which range from algebra, statistics, computation, and optimization in the mathematical sciences to curriculum and instruction. They have many years of combined teaching experience, with a variety of experience applying mathematics in business, industry and their local communities. In addition, the mathematics faculty have been awarded national recognition in areas of expertise and have taken courses to further enrich their teaching. Several have published research articles in peer-reviewed math/engineering journals, and others have written or contributed to a variety of textbooks. Progress logically from premises to valid conclusions in a variety of mathematical contexts. Apply mathematics to model real-life situations. Select and use technology for understanding, as well as a labor-saving or problem-solving tool. Construct a biblically consistent philosophy of mathematics.